Peter Schrey, DPT, OCS, CSCS, joined Focus Physical Therapy after relocating to Central Oregon at the end of 2013. He earned his Bachelor of Science degree in kinesiology, with an emphasis in human movement studies, from San Francisco State University in 2002. Three years later, he earned his doctorate in physical therapy from Regis University in Denver, CO. Practicing since 2005, Peter brings an eclectic approach to his PT/strength coach hybrid care. 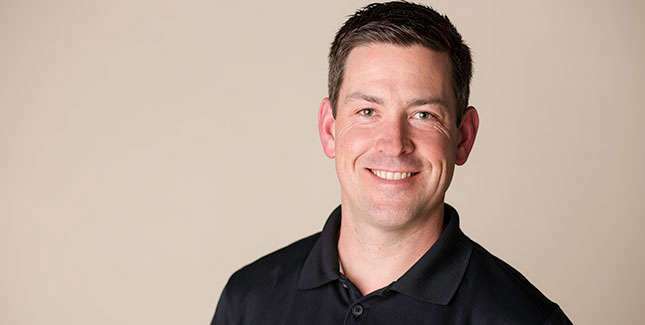 Since receiving his doctorate in PT, he became Board Certified in Orthopedics (OCS, 2011), became a Strength and Conditioning Specialist (CSCS, 2005), and has completed more than 500 hours of post-graduate continuing education. He has extensive experience in sports and spine dysfunction working at multiple clinics focused on high quality care. He has volunteered at multiple Track and Field events in Eugene, most recently the World Junior Championships and is currently the lead PT for Focus PT’s sponsorship of the Bend FC Timbers youth soccer program. Peter has training in McKenzie Mechanical Diagnosis and Therapy (also known as the McKenzie Method), Manual Physical Therapy, SFMA, and gait analysis and training for runners. He is also an APTA certified Clinical Instructor, volunteering his time teaching DPT students during their clinical internships. He “geeks out” on the latest scientific articles and applying sound evidence-informed principles to individualized care to help patients achieve their goals. He is married to Liz, a veterinarian, stays busy with 2 daughters, 2 dogs and a cat, and enjoys running, snowboarding, homebrewing, and exploring the outdoors.